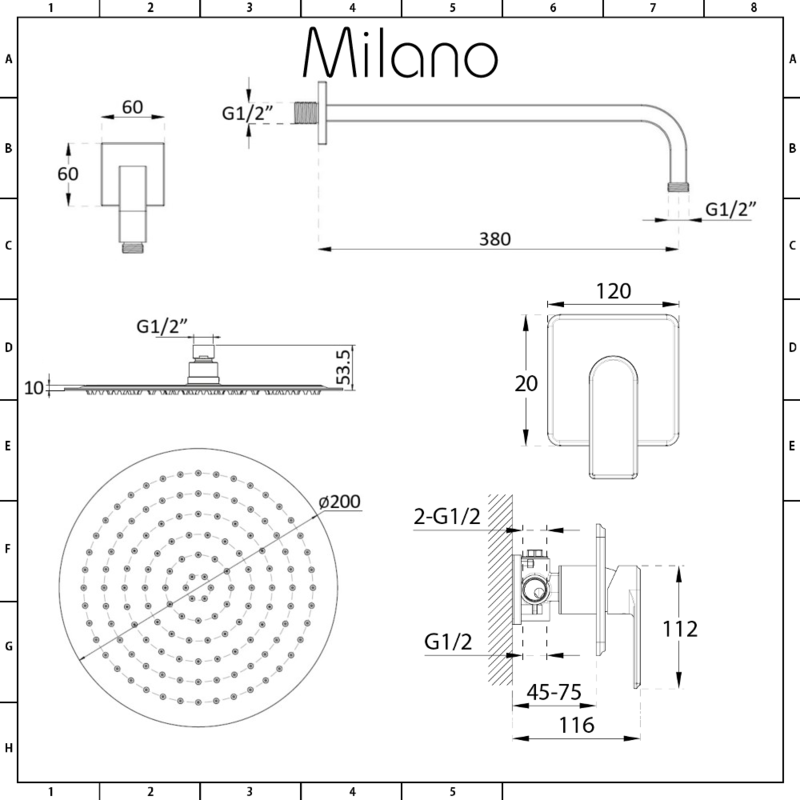 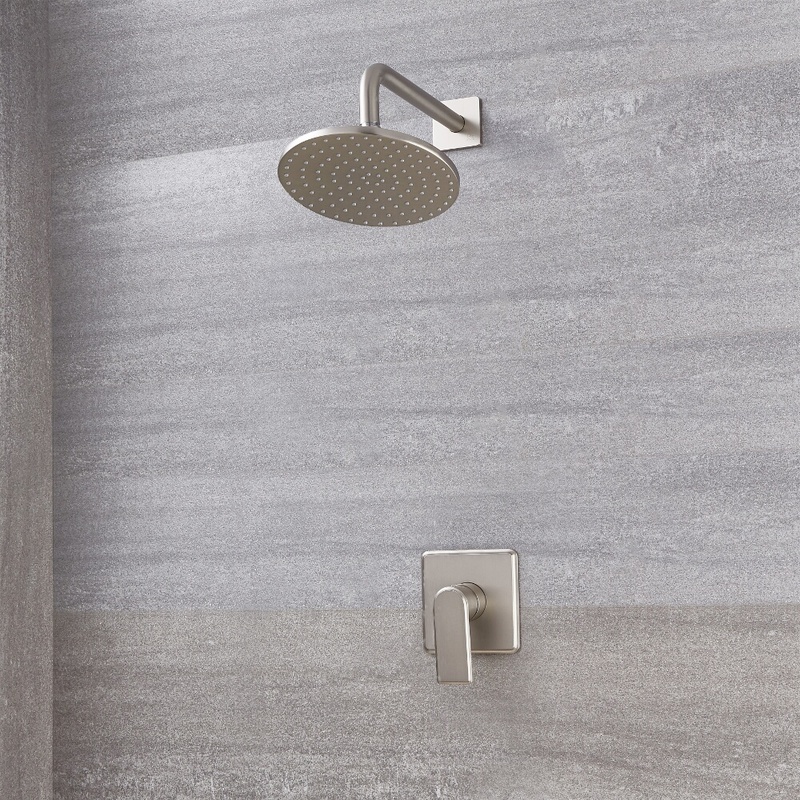 Give your bathroom a revamp and shower in style with the Milano Ashurst manual shower valve and 200mm round fixed shower head. 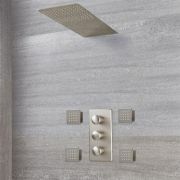 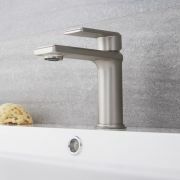 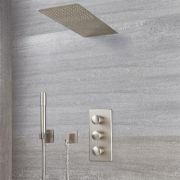 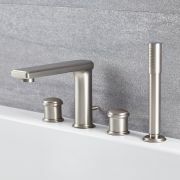 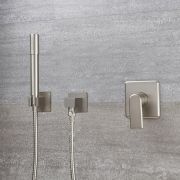 The shower head and valve are made from solid brass to ensure great durability, while their brushed nickel finish will complement any style of bathroom. 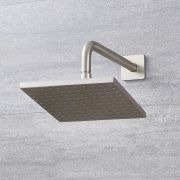 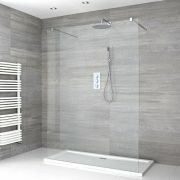 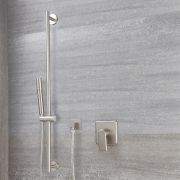 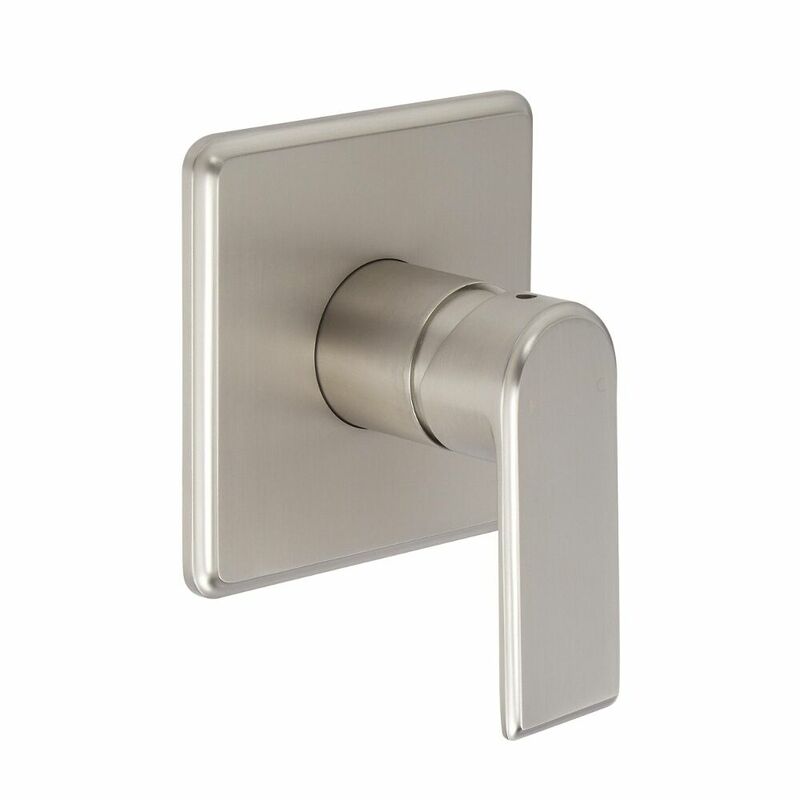 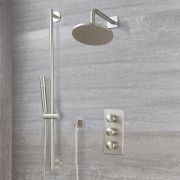 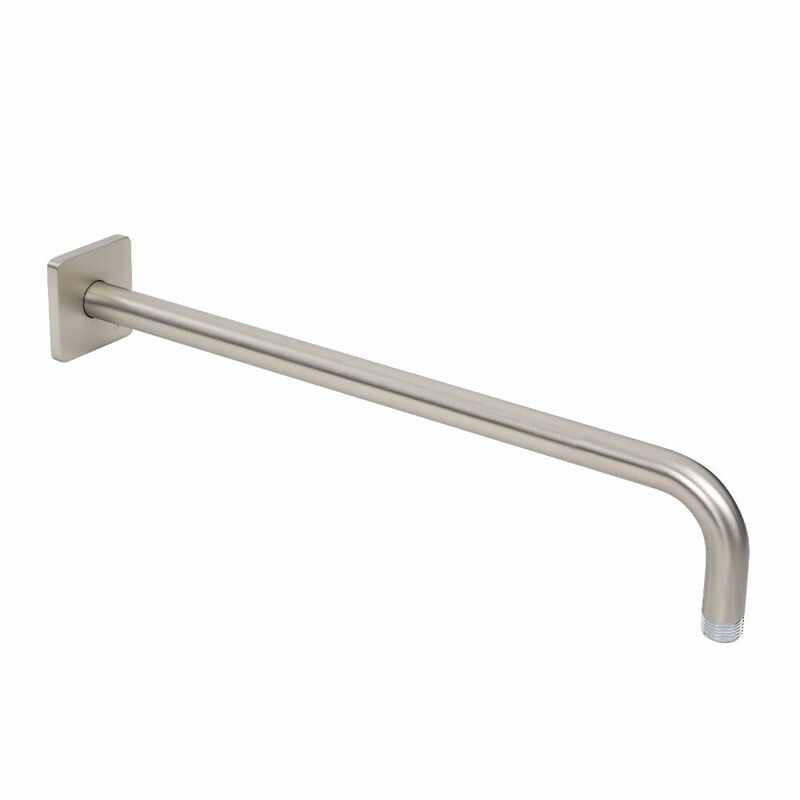 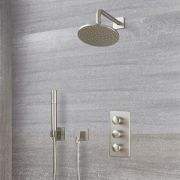 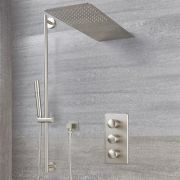 Supplied with the wall arm, this shower head features a brushed nickel finish for a contemporary look. 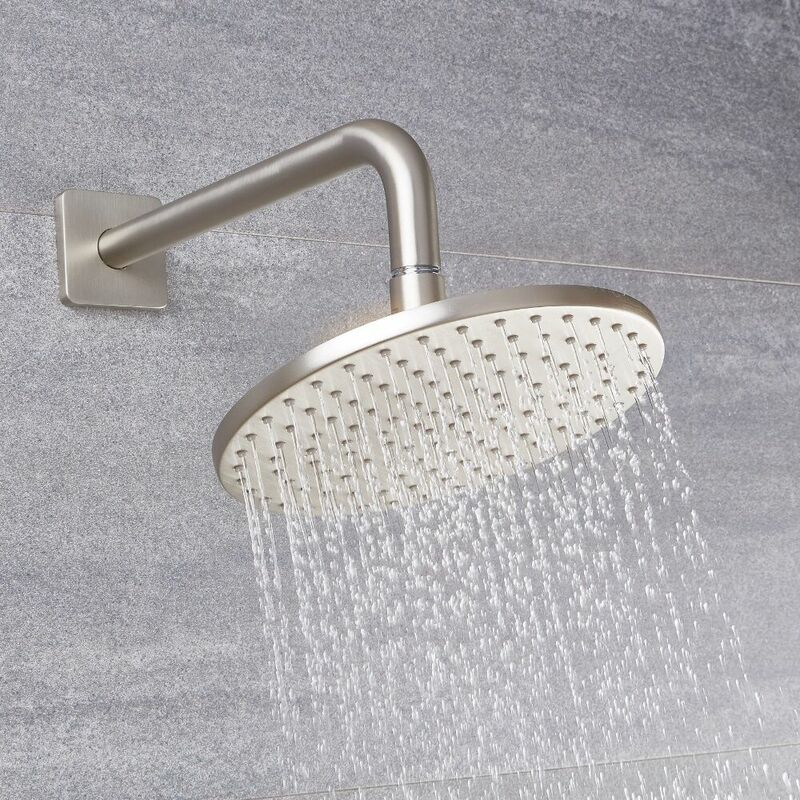 Through its 200mm diameter and 126 nozzles, this shower head will give you a luxurious water coverage and its rainfall effect is sure to leave you feeling awake and refreshed every time. 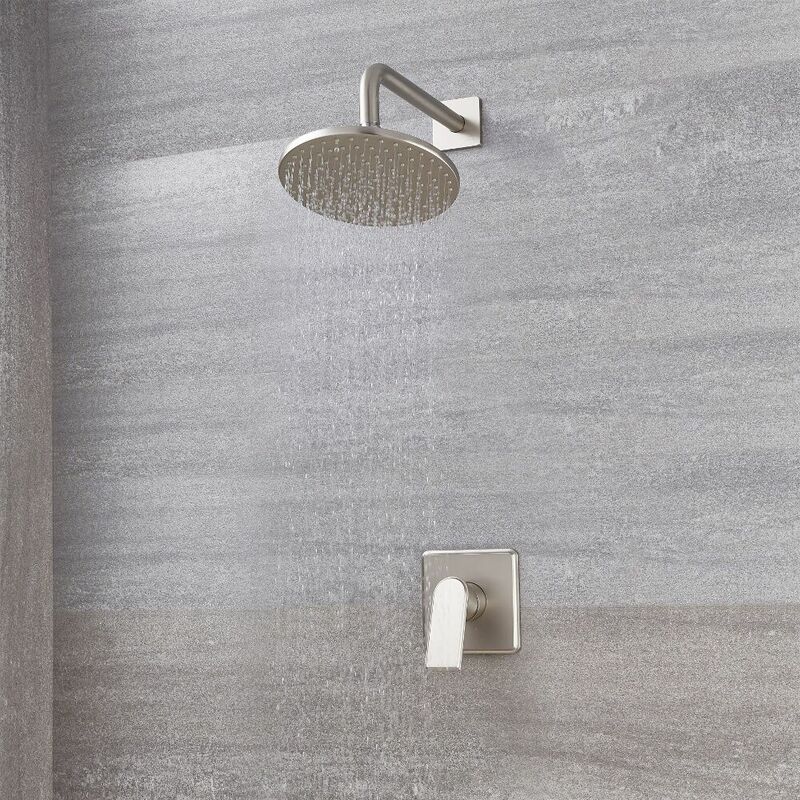 The 126 nozzles are made of silicone, which ensures that limescale deposits can be wiped away with ease.